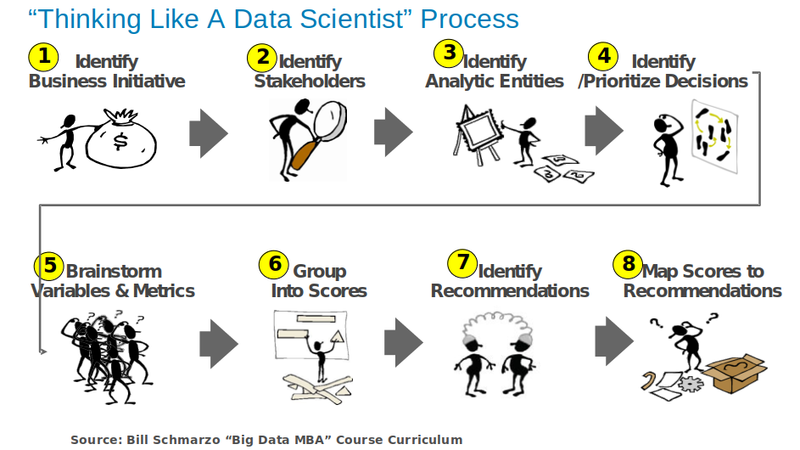 Managing Big Data, AI and Data Science all need new processes and methods to be efficient. I am always on the look out for new tools that help refine my thinking and usage. 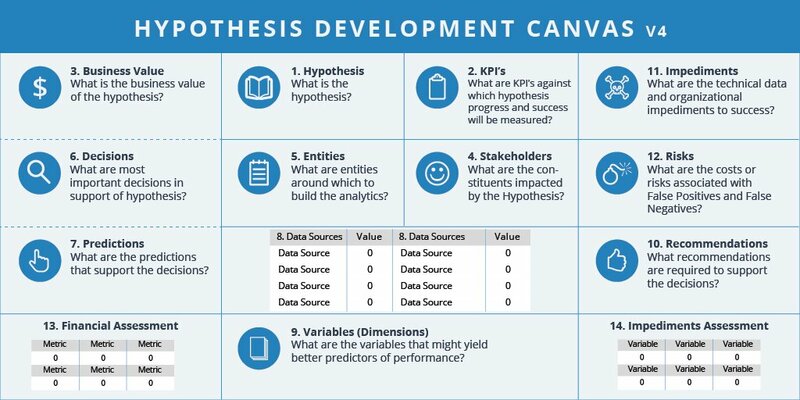 William Schmarzo shared the Hypothesis Development Canvas as tool to connect data science to the organization. It is to be used to develop business hypothesis. He also shared thinking like a data scientist process.